Welcome to Design 289 by Hardings, Victoria’s largest showroom, hosting a vast range of premium luxury products for your build, renovation or large project development. Here we have 1000m2 of Hardings showroom on our lower level that caters to the public and an additional 800m2 of our Design 289 Showroom showcasing the very best in the latest designer products to hit the market. Design 289 is a truly unique whole selection destination that is exclusively by appointment only. Boasting both international and local award winning designer products such as Antonio Lupi, GESSI, Asko, AEG, formed, Villeroy & Boch, Studio Bagno, Smeg and many more premium brands. 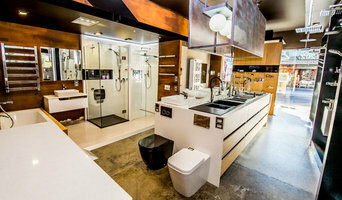 Explore from a wide range of bathroom sanitary and vanity products at Middletons Builders Warehouse. We deal in multiple renowned brands including Caroma, Phoenix, O Star and Euro Appliances. Visit the website to shop by categories or brand names or call us for better assistance. Omvivo has been a pioneer in contemporary product design and manufacturing for over 25 years. 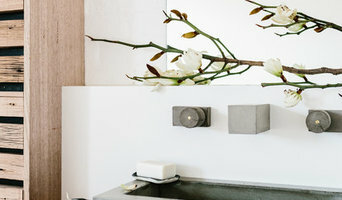 A subsidiary of the Schiavello Group, Omvivo remains at the forefront of the Australian and international bathroom market. The Omvivo collection incorporates pieces that challenge and inspire. The dedicated design team places the company in a unique position. Products evolve from concept through to production and beyond, considering innovation, functionality and quality. We collaborate with external reputable designers to expand the collection and create project specific pieces, adding to the diversity of the company. Each Omvivo piece is created using superior materials such as solid surface and glass, and the latest manufacturing technologies. The result of this combination is a bathroom collection of the finest quality, designed for everyday use and produced for longevity, with a genuine consideration and appreciation for the environment. The collection includes an extensive range of basins, bathroom furniture, baths and accessories as well as the celebrated Washplane®. HardwareBox works with renovators or those building a home across Australia supplying a range of home improvement products. This includes a range of door hardware, handles and levers. HardwareBox also provides advise and ideas on DIY projects around the home for the amateur or professional. We can also source bespoke products using our extensive network of suppliers. Creating amazing water experiences is what we do every day at Methven, and have done since 1886 when George Methven first started as a producer of brass and iron hardware in Dunedin, New Zealand. Today, Methven is world renowned for beautifully designed, award-winning showers, taps and valves. It all stems from our knowledge of water. Our unique history as an island nation has taught us to take care of nature’s most precious resource. Over the years we have learned how to harness its power to cleanse, calm, refresh and invigorate. And it’s this expertise - combined with our passion for design and innovation - that fuels our ongoing mission to create amazing water experiences, just for you. T'er SUN . TS is proudly Australian owned and operated, a professional manufacturer for bathroom vanity, bathroom compounding cabinet, kitchen cupboard and plantation shutters, also supply ceramic basin, toilet suite, etc. Brand T'er SUN was established in Mid 2017, approved by IPA in March 2018. We set very high standards for ourselves, we provide high grade bathroom products at the most competitive price along with the best customer service and the most efficient process. Our philosophy is to provide products designed and engineered with you in mind. We care about the ongoing life and functionality of our products, and are committed to continuous research, development and improvement. Our bottle traps and pop-up wastes carry the Australian ‘Watermark’ certificate of conformity and our mixers are supplied with ‘certified’ ceramic cartridges and flexi hoses. Tilo’s commitment to quality and style means that you can select from our vast range of innovatively designed products to enhance your surroundings, and be ensured a lifetime of lasting pleasure. Use the Houzz Professionals listings to find Long Forest, Victoria kitchen and bath accessory vendors. Don’t rule out asking a kitchen manufacturer’s design team for help, too. Skills often can be overlapped to save you time and money! Here are some related professionals and vendors to complement the work of kitchen & bathroom fixtures: Kitchen & Bathroom Designers, Kitchen & Bath Renovators, Interior Designers & Decorators, Joinery and Cabinet Makers. Find kitchen and bath fixtures and accessories, plus installation experts, on Houzz. Check out Victoria kitchen products and installers, and bath plumbing products and installers, on Houzz. 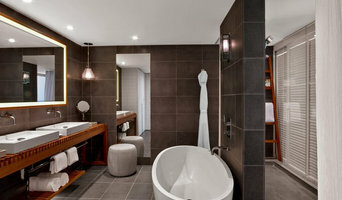 You can also look through project photos provided by Long Forest, Victoria renovators, retailers and designers.